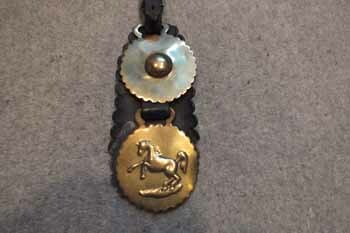 Horse Brass on a strap, C.1930. 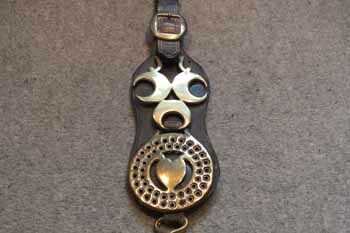 Attractive border to the strap. Large Diamond centre, with Many smaller diamonds to its border. 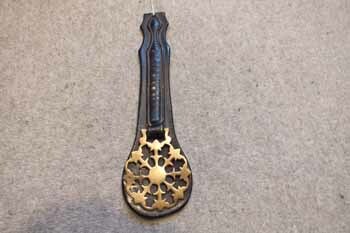 A large brass. 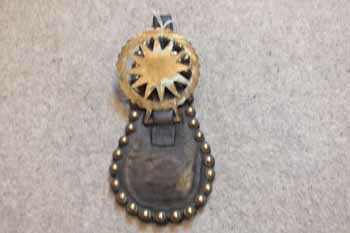 Strap Measures 7.25" x 4"
on a good quality strap. 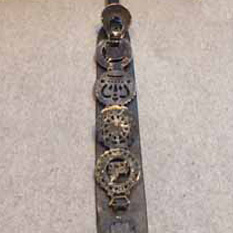 2 19th c. stamped horse brasses on a strap. A dome centre brass & a Rampant horse brass. Good Patina to their reverse. 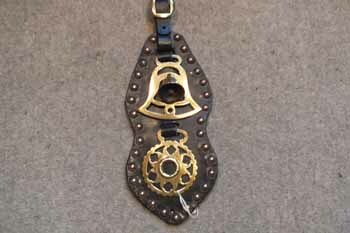 A good 3 brass 19th c. Horse strap. 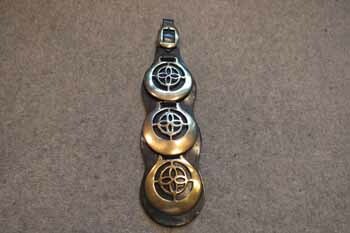 3 late 19th c. geometric horse brasses. Cast. 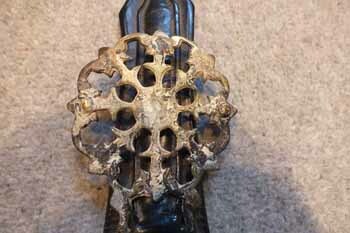 With excellent patina to their reverse. 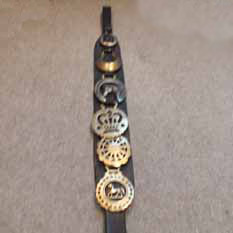 Measures 12.5" x 3.5"
Rare 19th c. Victorian Strap, six 1837 - 1897 Royalty studs in good condition. 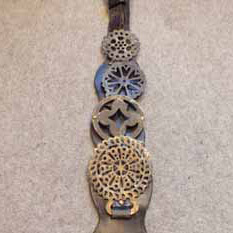 With 2 good geometric horse brasses. 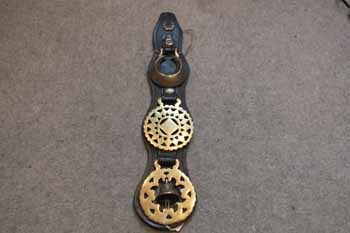 brass & a Bell brass, with its clapper. 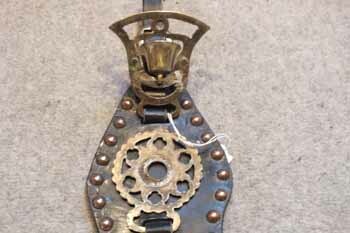 19th c Horse Strap, with a super Prince of Wales Feathers brass. 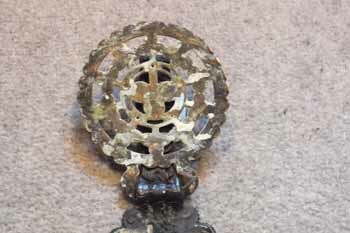 Very good patina its reverse. 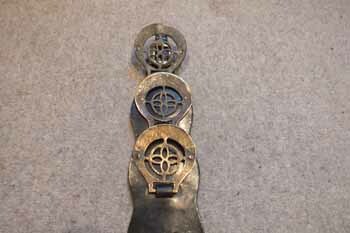 with a brass Rosette, 3 Horse shoes brass & a Lovely Wheat sheaf Intaglio brass. 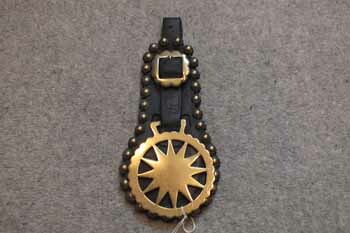 on its original strap. God Save The King 1902. In crisp condition. Good Patina to its reverse. 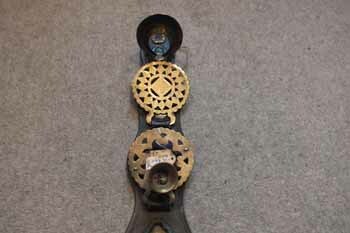 with a good bell brass, with its original capper & a geometric brass. 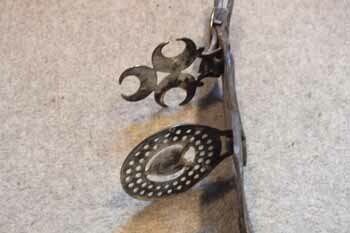 Triple crescent brass & Shield brass. 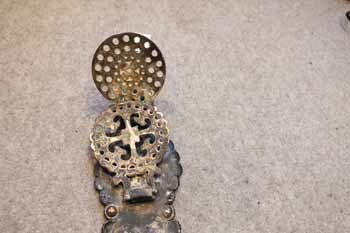 with good patina to its reverse. 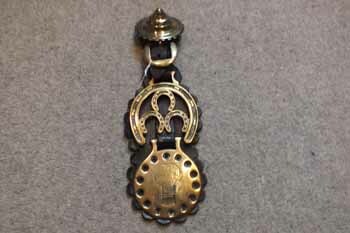 with 5 brasses, Crescent, Horses head, Crown, Geometric & Trotting horse. 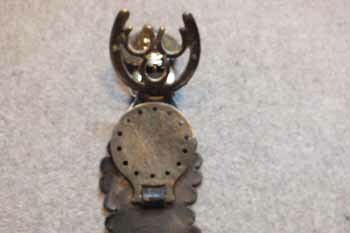 Damage to the top of the strap. 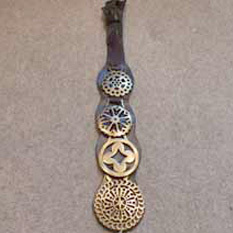 Strap, with 4 good old brasses. 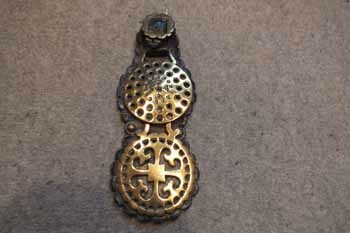 4 geometric brasses. 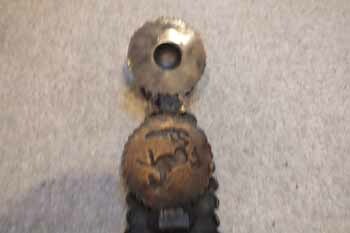 Damage to the top of the strap. 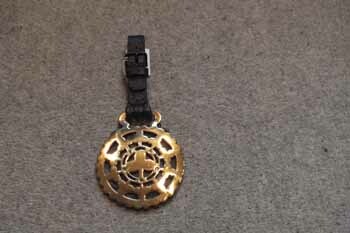 Tulip Brass & a geometric Brass.